Surrounded by water, the shoreline of Alpine Resort in Egg Harbor provides an amazing location for your wedding and reception. Youll overlook the harbor during the outdoor ceremony and your wedding guests will enjoy a fantastic evening in an awesome setting. 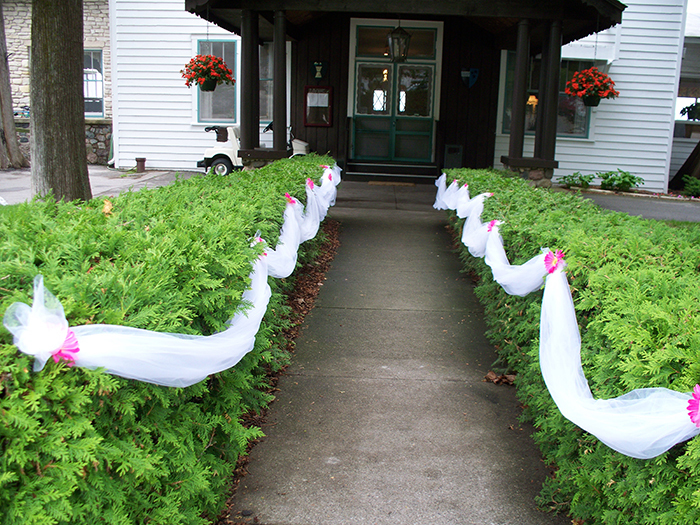 Weddings at the historic Alpine Resort take place during the spring, summer and fall seasons of Door County. The great food and comfortable space create a day your guests will hold dear. Dining overlooks the harbor from every seat, and guests will enjoy the opportunity to spend the evening celebrating on the water. Whether its an intimate group of 50 guests or a larger guest list of up to 230, there are several options to choose at Alpine Resort to meet your special requests. Lodging for wedding guests is available at Alpine Resort including rooms, suites and cottages. Many reunions of friends and family are easily accommodated in this special place that turns into an entire weekend of fun.